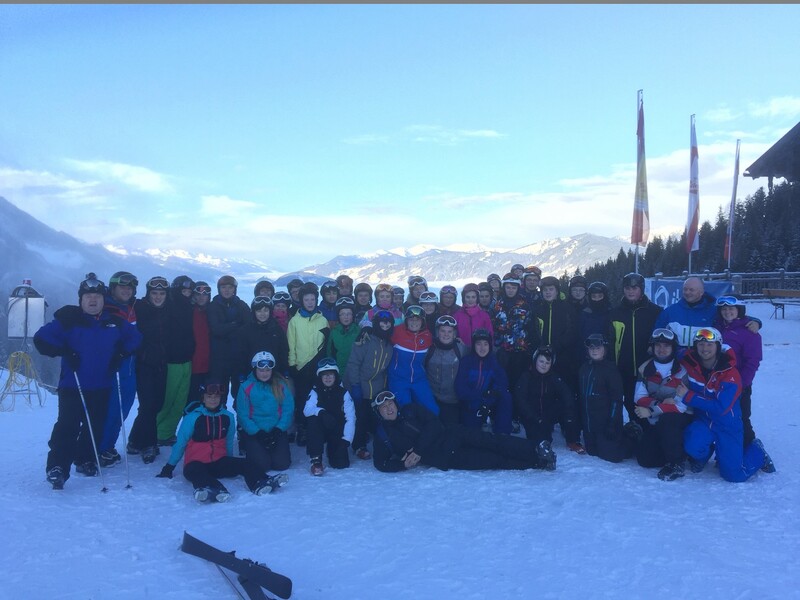 It may have been 07.30 am when the group of 36 cadets and 7 adults left Glasgow but there was not a thing that could have dampened their excitement for the ski trip to Salzburger Sportwelt in Austria, not even the thought of 30 hours of travel. 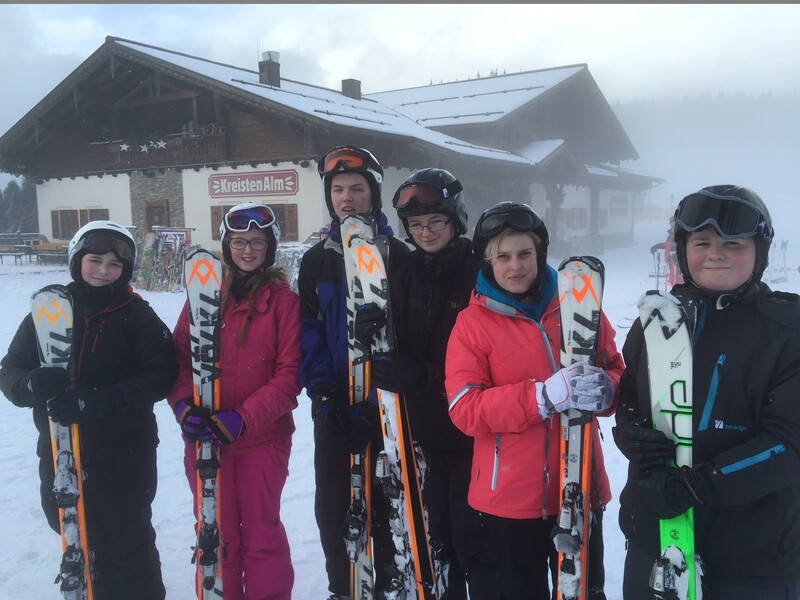 “Amazing, fantastic, brilliant” and “the best experience ever”, were just some of the comments made by the group following their recent skiing trip in the Austrian Alps thanks to the support received from the Ulysses Trust. 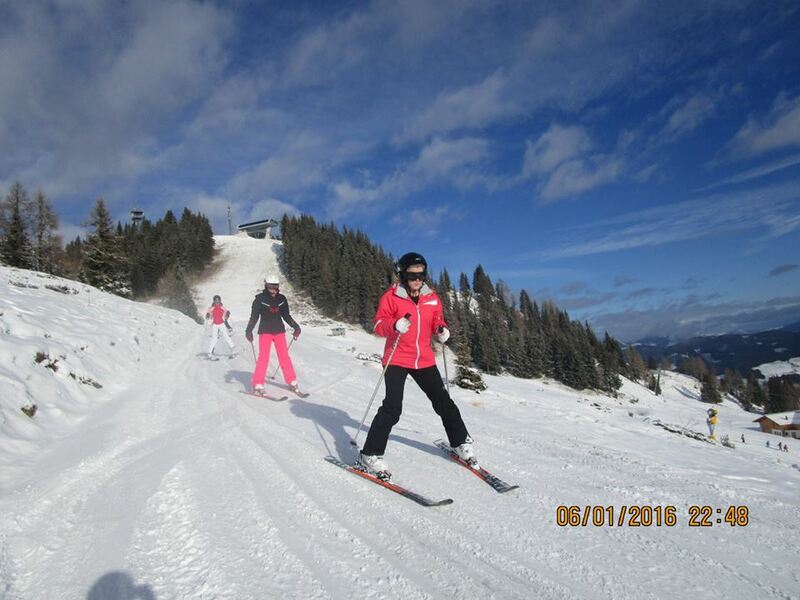 It began on Saturday 2 January 2016 when the group set off on the start of their coach journey from Glasgow, bound for the Austrian Pistes. On the way, the group took in the sights through the UK to Dover, a short ferry trip across the channel and then a through-the-night and early morning drive across France, Luxembourg, Germany and finally into Austria where we received a very warm welcome from the hosts for the week, Franz and Elsa at the Hotel Mühlthaler in Kuchl. Following the allocation of rooms, boots and helmets fitted and stored away, it was time to get out in the fresh air and have a walk around Kuchl. Being a small town, the walk did not take very long. After about 15 minutes, the group had seen all they needed to see. This was not the beautiful scenic Tennengebirge mountain range that surrounded the town, it was the all important SPAR across the road from the hotel where they would get their goodies! Recce done, it was back to the hotel to thaw out. 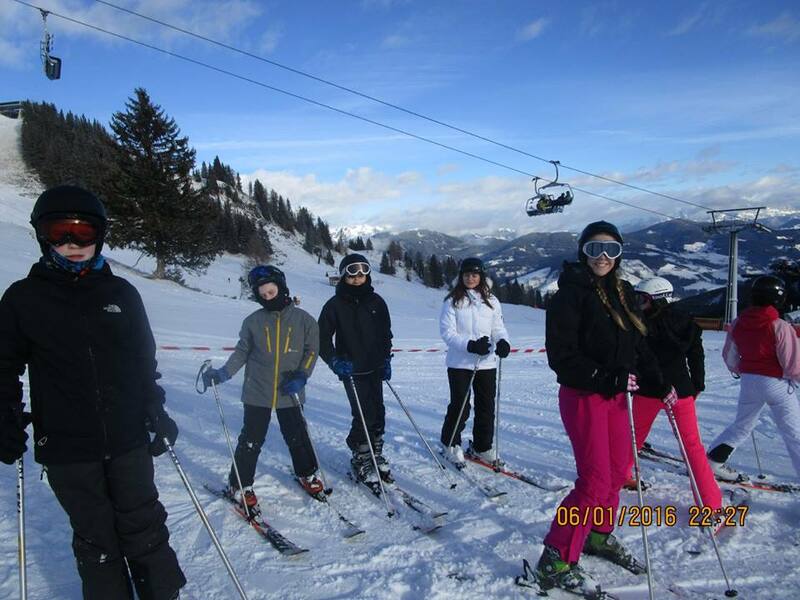 First day and the group were heading to the slopes at Alpendorf. 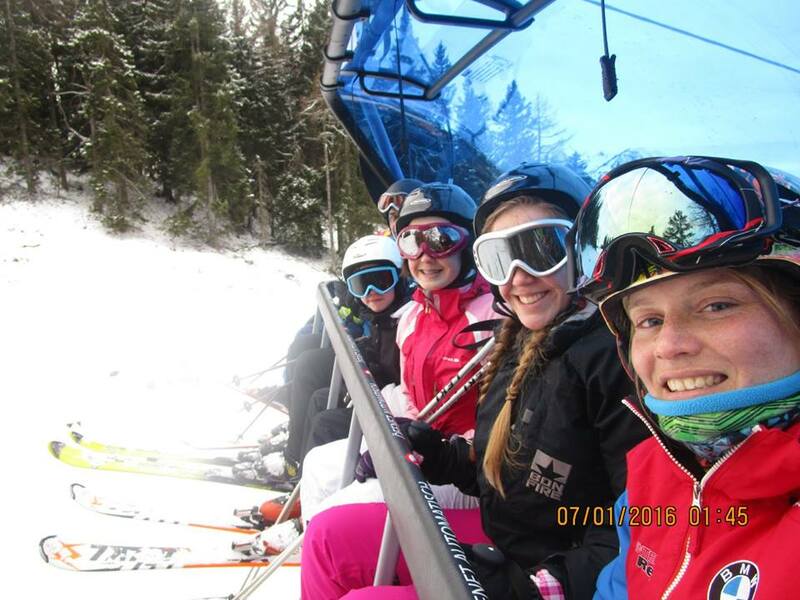 This was quite scary for some of the group, especially since most had never actually skied before, but to their credit they faced the challenge with a very positive attitude. 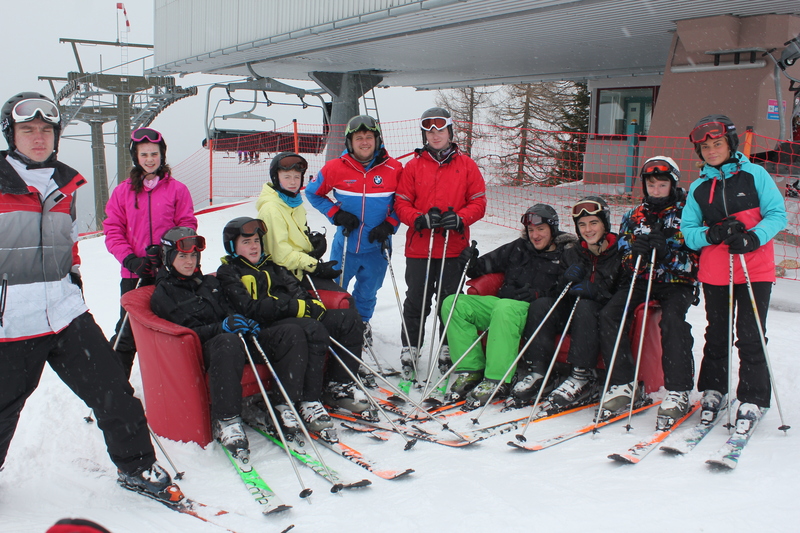 Instructors met and skis organised, the next task was to get the cadets all on and off the chairlift safely. 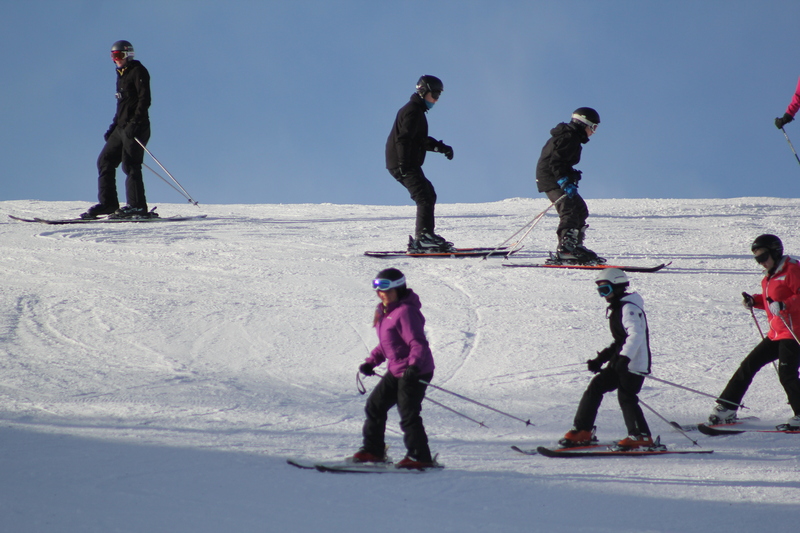 This proved easier than expected and after the 15 minute chairlift ride, the group all arrived at the top and headed for their first slope. The fun began with plenty of slips, falls and crashes and that was just the adults. What was very noticeable was that the skiing practice improved the groups’ performance “on piste” as well as giving them all a very healthy appetite “off piste”. As soon as the instructors mentioned “lunch” skis were off and the cadets shot like a bolt into the slope-side restaurant for whatever took their fancy. After each day on the slopes, it was back on the coach for the short journey back to the hotel for dinner followed by Apres Ski of swimming, karaoke and a sightseeing trip to Salzburg although the only sights some saw was the posh McDonalds. Friday was celebrating success with a Scottish themed presentation evening where cadets were presented with their well earned Proficiency Certificates. When Saturday 16.00 hrs arrived, the group descended reluctantly from the slopes, into the Gondolas and back to dry land. The group returned all the equipment and boarded the bus back to the hotel for their last meal before leaving. Goodbyes said, the whole group boarded the coach for the long journey home to Glasgow – this time with a lot of “snoozing”. 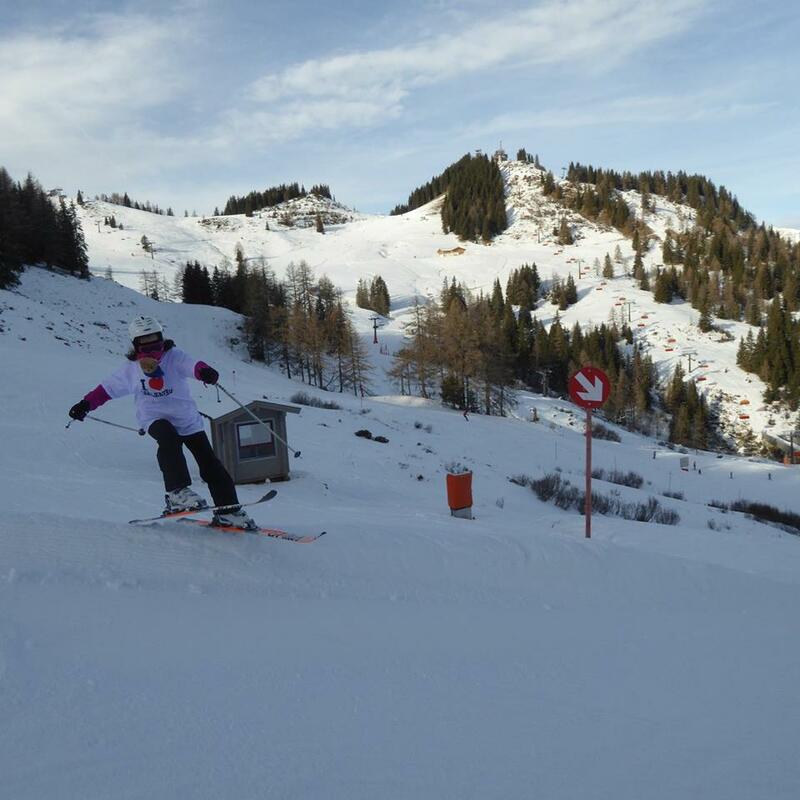 One week of six days skiing for 35 cadets and 5 adults was one trip that certainly achieved a very positive outcome. When cadets were asked the question “would you like to go skiing again?”, the response was a very loud and enthusiastic “YES”. Many thanks to the Ulysses Trust.